I have discovered the secret to staying sane, centered, and mentally healthy, even in the face of great stress. It’s meditation. I am going to give you all the meditation tips I have, so you can try it for yourself and experience the awesome benefits only meditation can provide. Meditating is one of those things that’s easy to learn, yet hard to execute, since our hyper-thinky brains get in the way. The good thing about this, is that with regular meditation, we can slow our brains down, and focus our thoughts on what we want to be thinking about. And it’s not an all-or-nothing venture. Even a little bit of successful meditation per session will yield some pretty amazing results. For years I’d been aware of meditation in a vague, semi-interested way. It hasn’t been until I started doing it regularly, and heard about other people’s experiences with it, that I discovered the mind-blowing benefits of a meditation practice. I haven’t even been doing it that long, but I want you to experience these benefits, too, so here are my very bestest meditation tips. Meditation takes practice, but luckily, the whole point of it is the practice. You are basically sitting there, practicing returning your focus to your breath or some other constant sound. (I love the babbling creek sound.) This means, you can let yourself be a novice. Let yourself start a meditation practice with beginner’s mind, and enjoy the knowledge that you will get better and better at it. At some point, you may feel frustrated or pissed off at yourself or not being able to stay focused. Think about what our brains are made to do, which is think and plan, and cut yourself some slack. 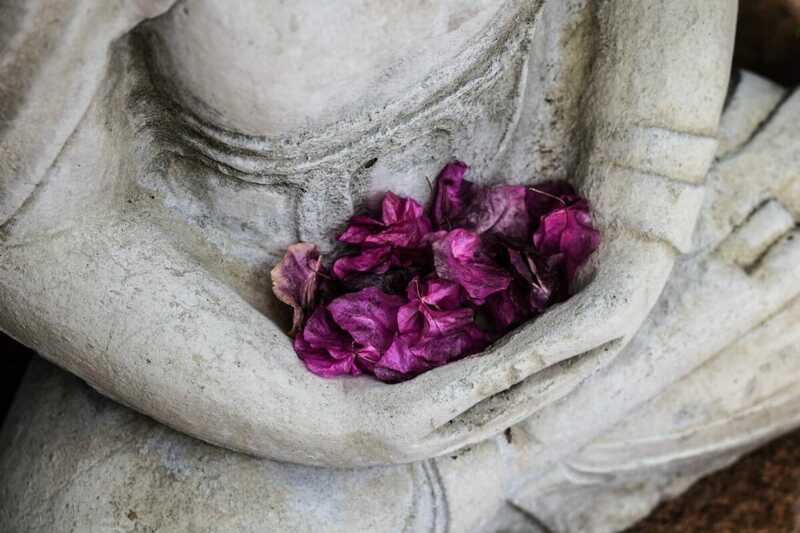 Try to let go of the defeating thoughts and just keep coming back, with the knowledge that, …”it is not the thoughts that disturb you, but your reaction to them.” from this fantastic article on meditation. You can break the rules. Most guided meditations I have listened to instruct me to sit straight in a chair or on the floor on a cushion. Guess what? I don’t want to. I sit cross-legged on a bed, with my back up against the pillows, and this is the only way I feel comfortable meditating. Maybe someday I’ll embrace the floor, maybe not. If you are listening to a guided meditation, go with what feels right to you. Meditation is most effective when you are short. HAHA just kidding. On to step 5. Start with short sittings. When I first started, I listened to an intro session about meditation from Gaiam (resources below) that consisted of 15 super-short teachings. I did one a day every morning, and then my curiosity was piqued, and I was ready to move on to longer guided meditations. Guided meditations are a great way to start. 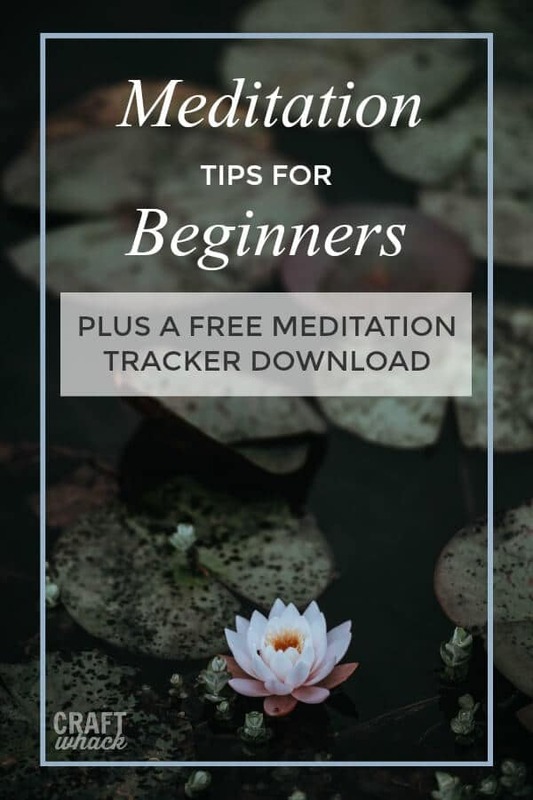 It’s easier at first to follow someone talking you through a meditation, and you will be able to sit more comfortably on your own (without questioning if everything you’re doing is wrong) after you’ve gotten through a few guided meditations. Approach meditation with playfulness and curiosity. If you try too hard, and put a ton of effort into it, meditation will seem like a chore. If you try to view it as a fun experiment, it’s more enjoyable and you will appreciate the changes you notice in yourself as they come about subtly. Use earbuds or headphones for a better experience – they will help block out external sounds. Here is a meditation tracker I designed if you’d like to see how long of a streak you can keep. depression, anxiety, learning, memory, stress, focus, addiction, etc. Still not convinced? Here are a couple of fantastic articles by people much smarter than I on meditation.